It did rain a little as I rushed off to see ‘Everybody Knows’, the opening film by Asghar Farhadi. 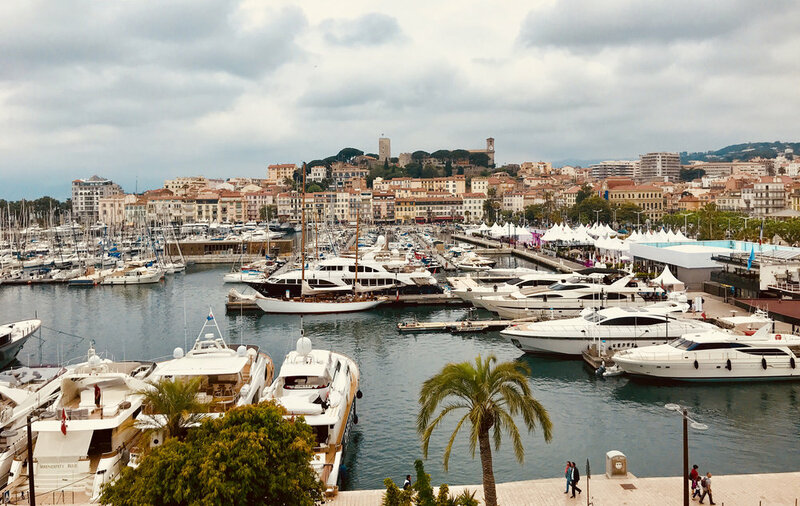 I commenced my usual morning routine of walking as fast down the Croisette as my legs could carry me, whilst shoving a croissant in my mouth and scalding my tongue with coffee. But instead of the usual fight for seats that greeted me daily at the 8:30am screenings I arrived to… a virtually empty theater. This was due to the change in press screenings, with most people seeing the movie the night before, after the premiere. I wasn’t mad at it. ‘Everybody Knows’ is set in Spain, and told in Spanish by an Iranian director. It’s not Farhadi’s first time making a movie in a language other than his own, but it does feel like his first dip into a different language of film. There are still his familiar themes of family and secrets in this story about two childhood lovers who reunite for a wedding… but here those themes are given a genre twist. A wedding guest is kidnapped, and the mystery must be solved against a ticking clock. There’s also a sense of a new film language with cinematographer Jose Luis Alcaine behind the lens - ‘Everybody Knows’ features more lush visuals than the realistic look of Farhadi’s other movies. The language of love is apparent in the chemistry of Javier Bardem and Penélope Cruz, the two stars of ‘Everybody Knows’. I think it was a great idea to cast this real-life married couple as old lovers, because they naturally have that sense of familiarity and history about them. Equality too, apparently. At the press conference following the film, the actors were asked whether they were paid equally. “Actually, yes,” Cruz replied, in language that was simple, and to the point. At lunch-time I took myself off to a restaurant, with the challenge of ordering everything in French. It’s really not necessary, because everyone here speaks English. And in fact that is what they do to me. Because before I can get to the end of the sentence “Table pour une personne” it’s pretty obvious I’m not from around here. Still, I persisted, and felt quite pleased with myself as I tucked in to my main, two sides and cheeky glass of wine. A special screening of ‘Mean Streets’ was next on my list, and even though I arrived an hour early, I had to join the back of a long line. This film is still as popular as it was when it screened in Cannes back in 1974. And seeing it in France, with a packed crowd, felt like a new translation. There is a fresh vitality to the film and somehow, seeing it in France, Martin Scorsese’s French New Wave influences were more apparent. Also, the beginnings of Scorsese’s own unique style. He is a director I greatly admire, both for his work and for what he has done for film preservation. He speaks fluent cinema, with an encyclopedic knowledge about movies and filmmakers from all eras and all parts of the globe. 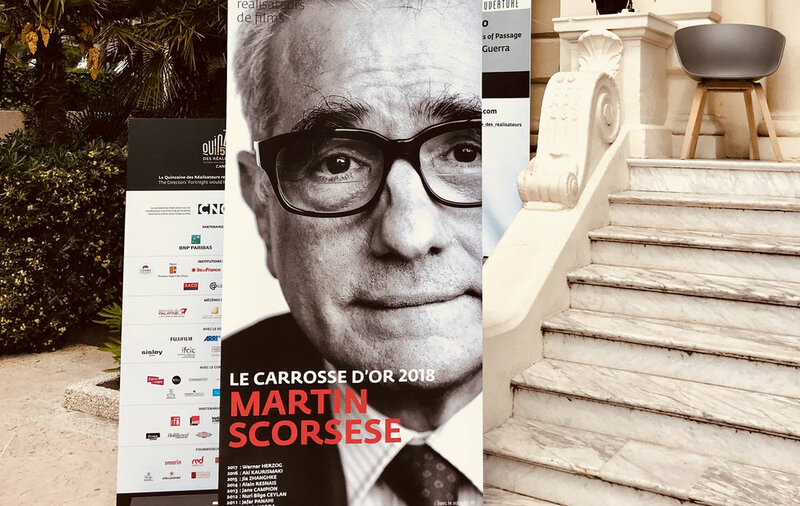 Needless to say, I stayed for the Q&A with Scorsese afterwards, and it was a thrill to see him speak, albeit through a translator for the French audience. He talked about how he didn’t realize until years afterwards that ‘Mean Streets’ was about the relationship between his own father and uncle. He related the story of Johnny Boy and Charlie to a moment he witnessed while being an altar boy in the Catholic church. And how showing the film in Cannes opened the door to him internationally. Also I super impressed with his translator, who sat, listening intently, while Scorsese gave answers up to three minutes long… and then translated to French (seemingly) perfectly, speaking for the same amount of time, mentioning the same names as he did. What a memory! With all that translating, the Q&A went longer than expected, so I rushed off to my final film of the day. ‘The Eyes of Orson Welles’ is a documentary directed by Mark Cousins and co-produced by FilmStruck. Before the film Cousins explained that he was daunted at the prospect of trying to figure out who exactly the actor / director really was. He found his window, his translation, through the artwork of Welles. So, throughout this two hour doc, Cousins dissects sketches and paintings, interpreting them based on the personal life and work of Welles. His attempt is to see this icon through new eyes, and through some of the references feel like a stretch, he makes some very astute observations. These are framed through a pretend letter Cousins writes to Welles, asking the questions he wants to know, catching Welles up with what he’s missed in the world since his death, and explaining the interpretations of his work. If you enjoy deconstructing classic cinema and the language of film (and art), this one is for you. As for me, I’m currently googling whether it is possible to learn a language while you sleep. I am very tired, and need to catch some z’s before I spend another day trying to get my tongue around Cannes. So to speak. Bonne nuit!